We had the chance recently to interview Blue Pencil Institute president and founder, Dr. Laura Hills, about her life and her decision to create a personal and professional development institute for career professionals. Read on to learn what drives this powerhouse. I was born and raised in the suburbs of New York City. I lived in Oceanside, NY (Long Island) until I was 13. Then, my family moved to East Brunswick, NJ, where I went to middle school and high school. I earned my undergraduate degree at Rutgers University (state university of New Jersey) where I was elected to Phi Beta Kappa. I majored in English and earned a certificate to teach English grades 7-12. What city are you in now? I live in Fairfax, Virginia, a suburb of Washington, DC. I’ve been living in this area for more than 20 years. Yes, very happily. My husband Cornell Hills and I were married in June of 2002. Three. My eldest daughter, Meredith, has a master’s degree in operations research from Columbia University and is working in New York City. My stepdaughter, Alicia, and my youngest daughter, Victoria, are both college students. What career were you practicing before you started Blue Pencil Institute? I started out my career briefly as a high school English teacher. I’ve also been a college professor and administrator. But for the most part, I have been a writer, speaker, and consultant with a focus on developing career professionals, particularly in the areas of communication, marketing, leadership, and relationship building. What motivated you to go back to school later in life for your doctoral degree? Why was this important to you? I had wanted to earn a doctorate for as long as I could remember. My childhood hero was Dr. Joyce Brothers, who was a popular TV personality back in the 60s. Seeing Dr. Brothers on the game and talk shows that aired in my childhood provided me with a different model of a woman than I had ever seen on TV or even, in my life: one who was beautiful but known for being smart. Dr. Brothers was treated with great respect and was called doctor, always, no matter where she was. I decided before the age of 10 that when I grew up, I wanted to be just like Dr. Joyce Brothers -- beautiful, well-spoken, classy, smart, respected -- and doctor. Many years later, after marrying, teaching, writing books, speaking, consulting, and starting a family, I realized how much I regretted not having had the chance to go to graduate school. The old childhood dream of being like Dr. Brothers was still there and I felt I’d missed a wonderful experience. I knew, however, that starting in my 40s that I could not go to grad school the way I would have when I was younger. At that life point, I could go only to a local university. And, I could take only one course at a time. That’s all I could handle on top of my many other responsibilities – parenting, writing, homemaking, etc. (Even that pace proved to be pretty challenging at times.) My studies would have to fit into my existing life and somehow, I was going to have to find a way to keep all the balls in the air. But, I decided I was going to embark on this long path and make it work. My graduate school journey took 11 years. I had to earn my master’s degree first (in English with a concentration in literature) and then I worked through two graduate certificates (one in College Teaching, the other in TESOL --- Teaching English to Speakers of Other Languages). Then, there were the doctoral studies, including courses, internships, comprehensive exams, and the dissertation. Through all of that time, a lot of life happened. My daughters were 6 and 11 when I started grad school and they were 17 and 22 when I graduated. So, they grew up while I was a student. In fact, my younger daughter, Victoria, says she cannot remember a time when I was NOT a student. Both of my daughters had significant religious ceremonies and celebrations during the years of my grad school studies that I had to plan. My husband and I separated and eventually divorced. 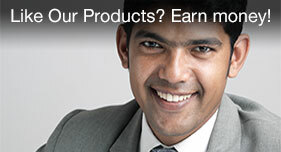 I had to take on new work to earn additional income to support my new single life. (I wrote resumes, among other things.) I fell in love again. I remarried, and this necessitated building a new home, selling the old one, and moving. I became a stepmother. For four years of this journey, I started yet another chapter in my career when I served as a professor and administrator at a small international university (Virginia International University). And, near the end of my studies, my Dad fell ill to thyroid cancer and passed away. So, life kept happening. There were really only two constants in this long period of my life – my children and my education. Everything else in my life kept changing – even my name. I started grad school as Mrs. Laura Sachs and graduated as Dr. Laura Hills. The biggest challenge for me was to keep going with my studies no matter what was happening in my life. But my studies and my goal of earning a doctorate were also what kept me focused and moving forward during times of confusion, grief, and change. Why is Blue Pencil Institute personally important to you? 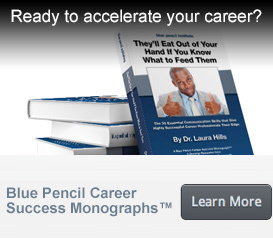 Blue Pencil Institute marries all of my past experiences and my scholarly work. It builds on the writing and consulting work I’ve done to develop career professionals but also draws on my teaching experience, my years in academia, and the extensive scholarly work I’ve done in adult learning theory and leadership development. Blue Pencil Institute is to me the reward for everything I’ve done and the natural extension of everything I’ve learned. What advice would you share with other women who are facing career changes in their life? I remember way back when a friend of mine thinking I was crazy when I told her that I was going to go to grad school. She said it was insanity to take one course at a time to go from bachelors to doctorate. She told me, too, that I’d be in my 50s by the time I was done. Well, she was right about that. I graduated with my doctorate when I was 53. But you know what? I was hoping to be 53 either way. I figured that if I was going to be 53 someday that it would be better to be in my 53 with a doctorate. Of course, I was right. They say that the way to eat an elephant is one bite at a time. My elephant was a doctoral degree. My advice is that whatever your particular elephant is, don’t focus on the enormity of the task before you. Focus on the bites. You’ll find a way to eat your elephant, just as I did mine, trunk, tail, and all.